Product categories of Animal Face Kettlebell, we are specialized manufacturers from China, Animal Face Kettlebell, Skull Head Kettlebell suppliers/factory, wholesale high-quality products of Custom Shape Kettlebell R & D and manufacturing, we have the perfect after-sales service and technical support. Look forward to your cooperation! Animal Face Kettlebells,weights to be ordered, are made of one single piece of cast iron, which could be sculpted in the image of a zombie, a demon, Optimus Prime, wild animals such as gorillas, lions, etc. to add fun to physical training, and have a symbolic meaning of strength, power, courage, self-confidence and authority. 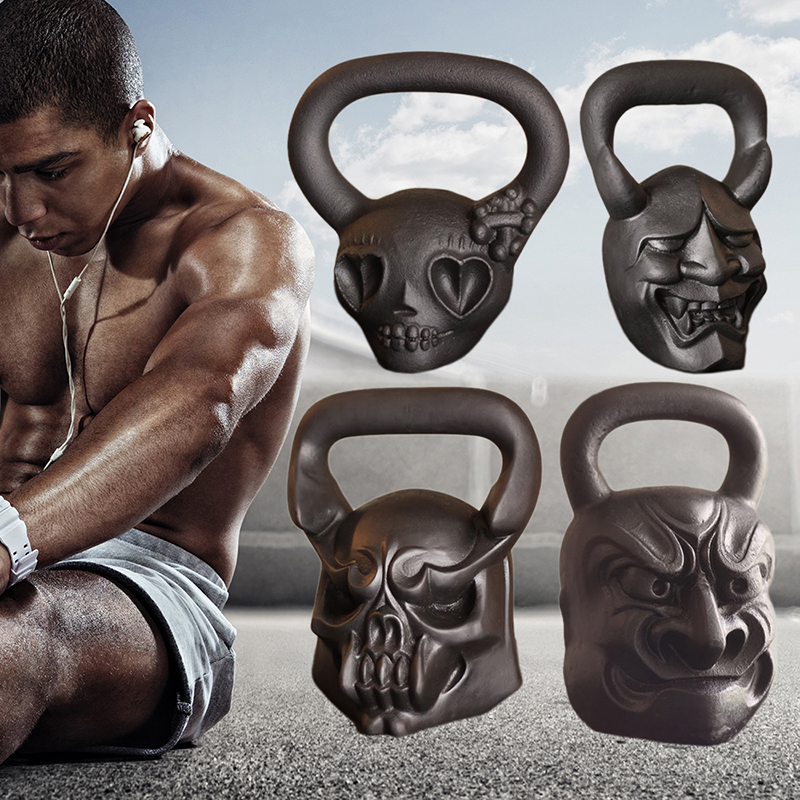 Covered in a powder coating, Animal Face kettlebells have a clean and smooth surface, which makes them easy and convenient to grip, push, lift, squat, etc.